Metaheuristic algorithm is one of the most popular methods in solving many optimization problems. This paper presents a new hybrid approach comprising of two natures inspired metaheuristic algorithms i.e. 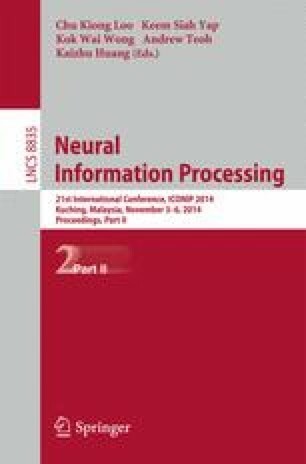 Cuckoo Search (CS) and Accelerated Particle Swarm Optimization (APSO) for training Artificial Neural Networks (ANN). In order to increase the probability of the egg’s survival, the cuckoo bird migrates by traversing more search space. It can successfully search better solutions by performing levy flight with APSO. In the proposed Hybrid Accelerated Cuckoo Particle Swarm Optimization (HACPSO) algorithm, the communication ability for the cuckoo birds have been provided by APSO, thus making cuckoo bird capable of searching for the best nest with better solution. Experimental results are carried-out on benchmarked datasets, and the performance of the proposed hybrid algorithm is compared with Artificial Bee Colony (ABC) and similar hybrid variants. The results show that the proposed HACPSO algorithm performs better than other algorithms in terms of convergence and accuracy.